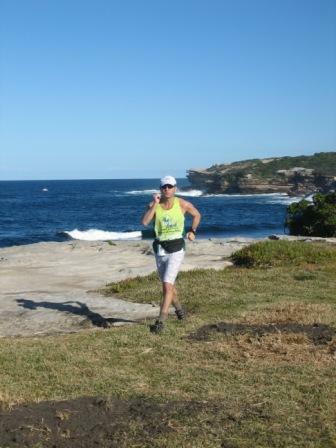 I went for a good 2 hours jog on the weekend with Marathon Man – www.marathonman.com.au along the coast and cliffs of Southern Sydney. Was a great sunny day and we could see the whales out there making their way up to warm Queensland. The good news of the week is that the doctor did not feel like putting me under the knife! He told me that all my pain and suffering is due to the simple fact of, ahhmm… age. Dhooo! Ok, it may also have been the 5000+ km of last years training but taking out stuff would not make it better in the long term and with optimizing footwear and choosing my running terrain wisely I will be out there for a few more years (fingers crossed). That’s great news – I am back in training for a full marathon in October and will be racing one or two shorter events prior to that.